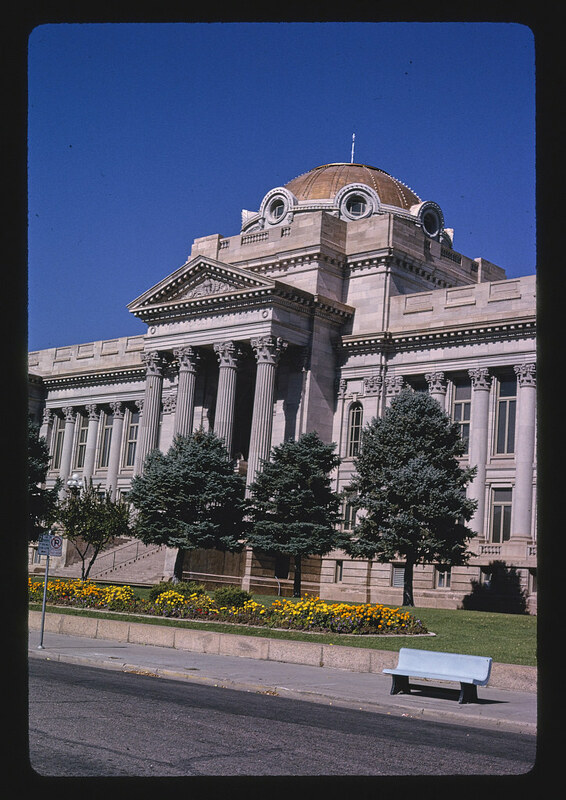 1 photograph : color transparency ; 35 mm (slide format). Title, date and keywords based on information provided by the photographer. Margolies categories: Courthouses; Main Street. Purchase; John Margolies 2008 (DLC/PP-2008:109-1). Credit line: John Margolies Roadside America photograph archive (1972-2008), Library of Congress, Prints and Photographs Division. Please use digital image: original slide is kept in cold storage for preservation. Forms part of: John Margolies Roadside America photograph archive (1972-2008).